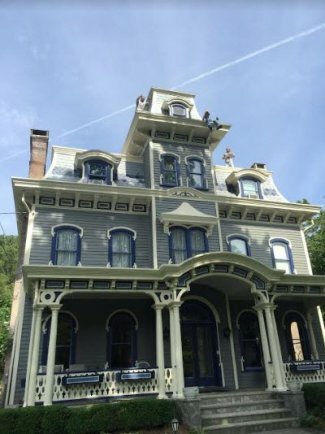 Roof Repair | Bergen County | Homestead Roofing Co.
Let’s face it – no one wants to go grab a bucket every time it rains. Likewise, most of us also do not want to have to deal with roof repairs either as they typically require investments of time and money. But ignoring a problem can turn a small, inexpensive roof repair into a costly roofing nightmare. Roofing comprises about one-third of a building or home’s exterior which means any damage can seriously compromise the integrity of the building or your home. It is important to have your roof inspected annually by a roofing professional to identify any signs of damage particularly following a severe storm such as a blizzard, tropical storm or hurricane. At Homestead Roofing, we have specialized in roof repair services for over 85 years for both residential and commercial roofs. We are experts in all roofing types and take pride in providing exceptional customer service to our customers. We do not believe in cutting corners which is why we use only the highest quality roofing materials. Call now for your free roofing repair estimate. Our services also include siding and gutter repairs. Common signs of roof damage include loose, damaged or missing shingles or curling or buckling shingles. In some cases, damaged shingles can be repaired or simply replaced. If a roof is severely damaged you may need to replace your roof. If your current roof is more than 20 years old and most of the shingles are badly damaged or worn, a roof replacement may be needed to maintain the integrity of your home or building. Our experienced team at Homestead Roofing can solve tricky roofing problems and troubleshoot roof leaks. Our team always strives to provide you with the option to successfully repair your existing roof over replacing it. We know that providing good, old-fashion service that is knowledgeable and focuses on your complete satisfaction is the best way to build a long-term relationship. There are many reasons that a roof may need to be repaired due to damage. In NJ, one of the biggest reasons why roofs get damaged is due to severe weather such as snowstorms, heavy rainfall, and huge wind gusts. Another major reason roofs need repairing is simply due to lack of maintenance such as having your roof regularly inspected by a roofing contractor. Carrying out regular inspections on your roof will help prevent any minor damage which can escalate into a major, costly problem to fix. You can avoid a roof replacement by maintaining your roof with regular roof repair services so it remains in good condition. In many cases, roof damage starts off minor and if caught early needs only minor repairs. However, many people do not catch their roof damage early or simply ignore it allowing the damage to expand in size and require more substantial repairs or, in some cases, complete roof replacement. If you think your roof may be damaged it is important to have a professional roofer evaluate it as soon as possible in order to minimize the chance of needing a roof replacement. With our roof repair services, your roof will always be in great condition. 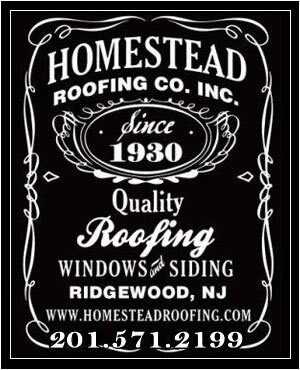 We have been a local, reputable roofer for over 85 years in Ridgewood, NJ. We believe in providing exceptional, personalized roof repair services and supporting our local community. We have received the Best of Ridgewood Awards for Roofing & Siding Contractors 2011-2016 and we are also a Ridgewood Baseball & Softball Association Sponsor. If you have concerns or issues over our roof replacement or repair services, we will be here to answer your questions and make sure you are satisfied with our work. Call us today to schedule your free roof repair estimate! 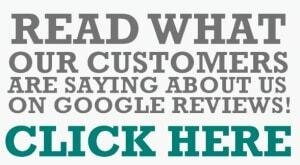 Check out our customer testimonials to see what our previous customers have to say about choosing Homestead Roofing. Want to know more about roof damage and repair? Check out some of our blog posts. Think you may have roof damage or need a roof replacement? Give us a call. We are more than happy to answer any questions you have regarding the condition of your residential or commercial roof.